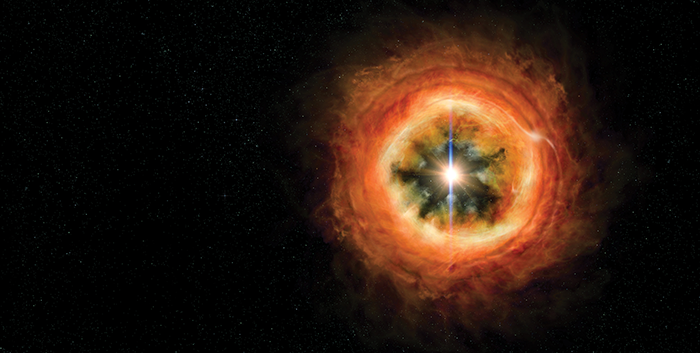 About 4.6 billion years ago, an enormous cloud of hydrogen gas and dust collapsed under its own weight, eventually flattening into a disk called the solar nebula. Most of this interstellar material contracted at the disk’s center to form the Sun, and part of the solar nebula’s remaining gas and dust condensed to form the planets and the rest of our solar system. Now scientists from MIT and their colleagues have estimated the lifetime of the solar nebula—a key stage during which much of the solar system evolution occurred. This new estimate suggests that the gas giants Jupiter and Saturn must have formed within the first 4 million years of the solar system’s evolution. Furthermore, they must have completed gas-driven migration of their orbital positions by this time. Weiss and MIT postdoc Huapei Wang, the first author of this study, reported their results in the journal Science. Their co-authors are Brynna Downey ‘17, Clement Suavet, and Roger Fu from MIT; Xue-Ning Bai of the Harvard-Smithsonian Center for Astrophysics; Jun Wang and Jiajun Wang of Brookhaven National Laboratory; and Maria Zucolotto of the National Museum in Rio de Janeiro. The team came to its conclusion after carefully analyzing angrites, which are some of the oldest and most pristine of planetary rocks. Angrites are igneous rocks, many of which are thought to have erupted onto the surface of asteroids very early in the solar system’s history and then quickly cooled, freezing their original properties—including their composition and paleomagnetic signals—in place. The team obtained samples from all four meteorites. By measuring the ratio of uranium to lead in each sample, previous studies had determined that the three oldest formed around 4.563 billion years ago. The researchers then measured the rocks’ remanent magnetization using a precision magnetometer in the MIT Paleomagnetism Laboratory. When they placed the angrites in the magnetometer, the researchers observed very little remanent magnetization, indicating there was very little magnetic field present when the angrites formed. 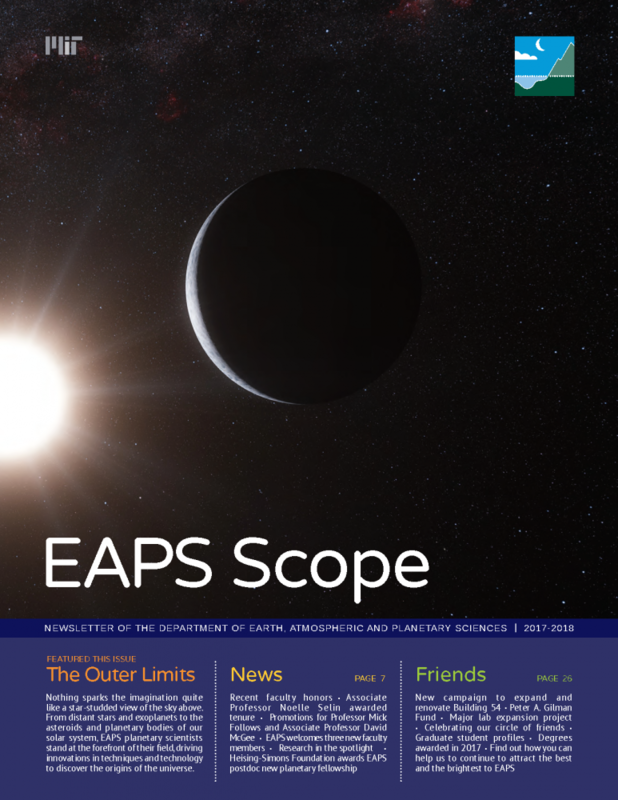 Specifically, the team found that the angrites’ remanent magnetization could have been produced by an extremely weak magnetic field of no more than 0.6 microteslas, 4.563 billion years ago, or, about 4 million years after the start of the solar system. The Weiss Laboratory gratefully acknowledges Thomas F. Peterson, Jr. ‘57 for his generous support.